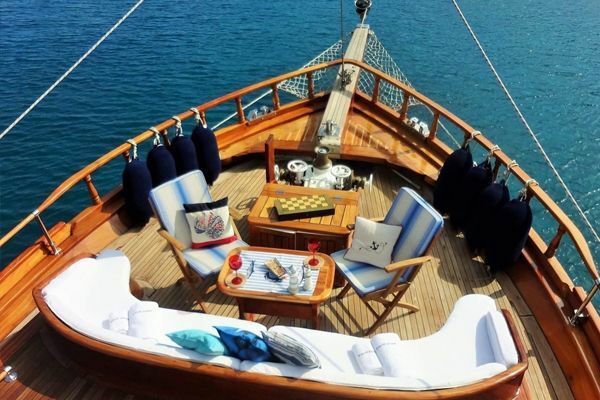 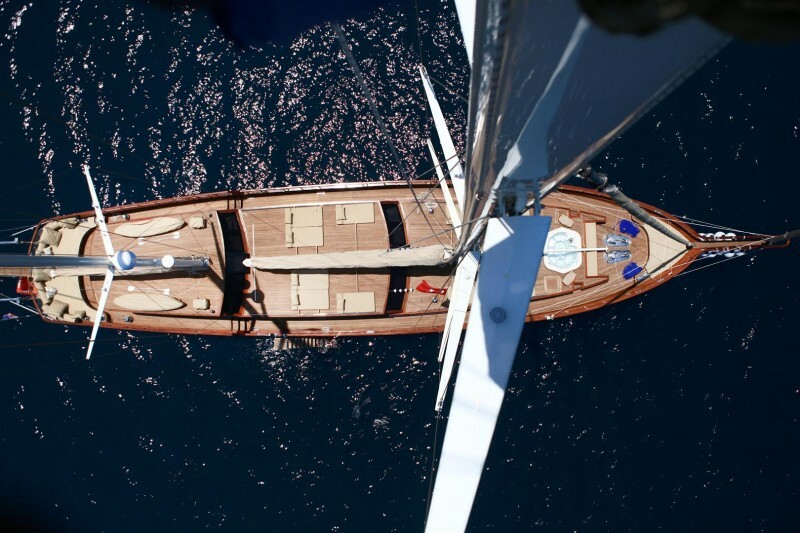 The magnificent 38 metre VIP Luxury gulet Mezcal 2 offers a sumptuous, pampered cruise for up to twelve guests. 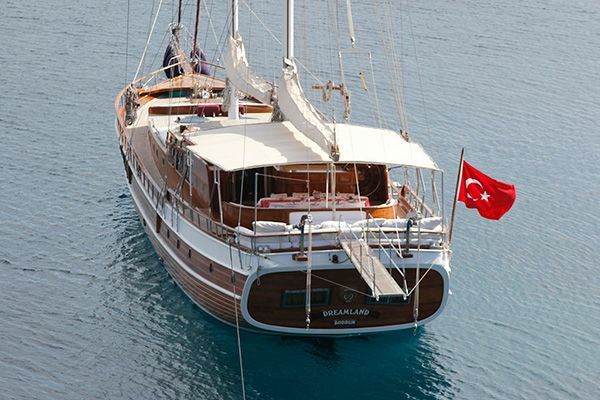 Based in Marmaris, this superb gulet is available for cruising holidays along the Mediterranean or Aegean of the Turkish coast or into the Greek Islands. 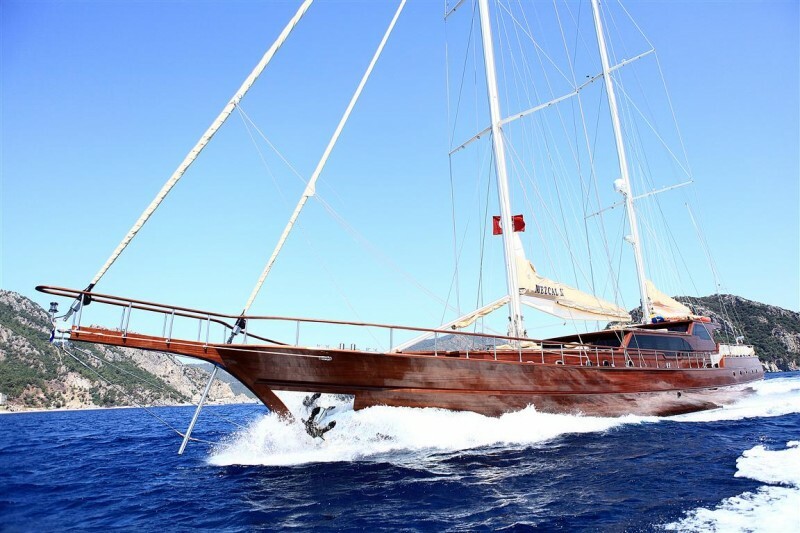 Built in Antalya shipyards and launched in 2012, she was designed and constructed as a modern classic take on gulet design incorporating all the comforts of latest technology within the sleek polished luxury timbers of her hull and interiors. 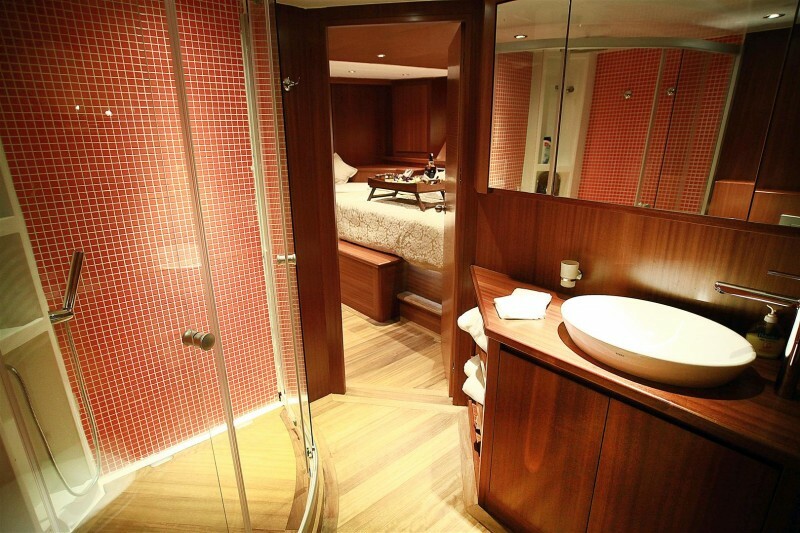 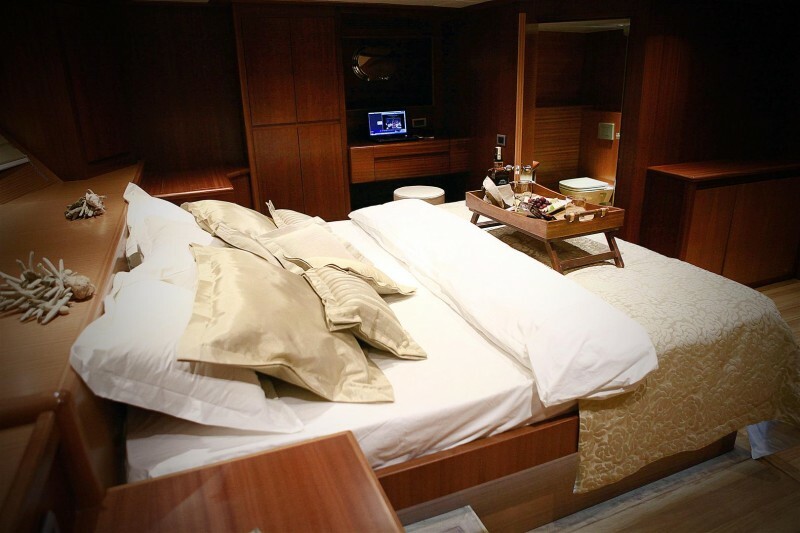 The spacious cabins luxurious yacht Mezcal II are arranged in a very practical choice of two master cabins, two walk around double bed cabins, and two twin bed cabins all with their own spacious well-appointed en-suite bathrooms, and own TV with satellite connections. 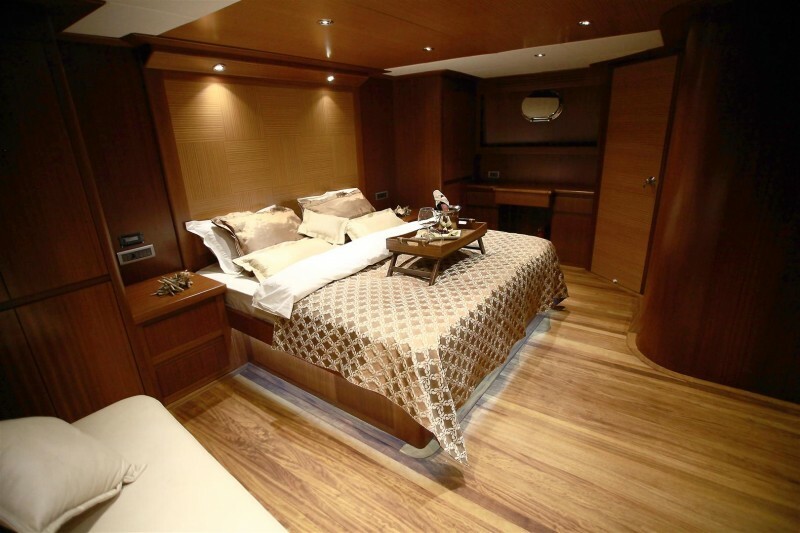 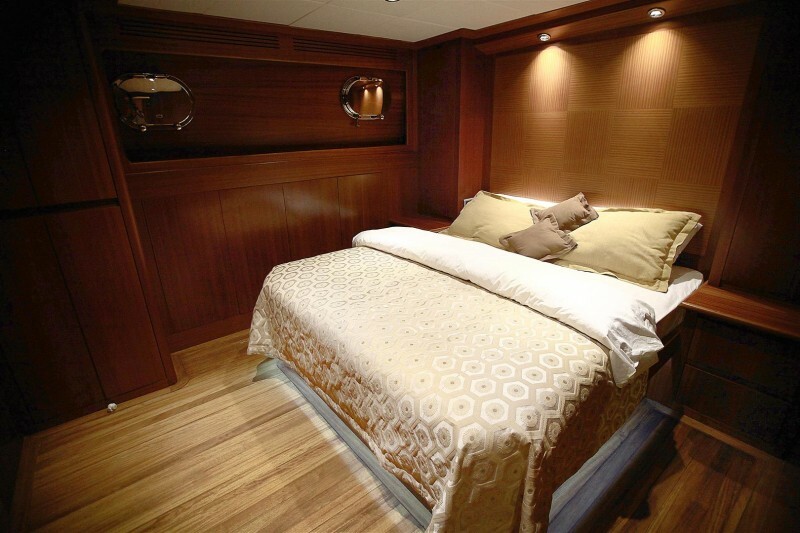 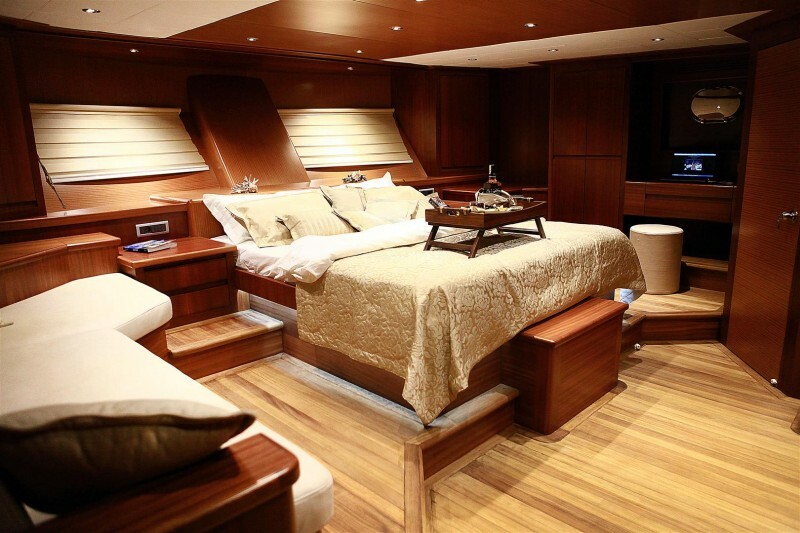 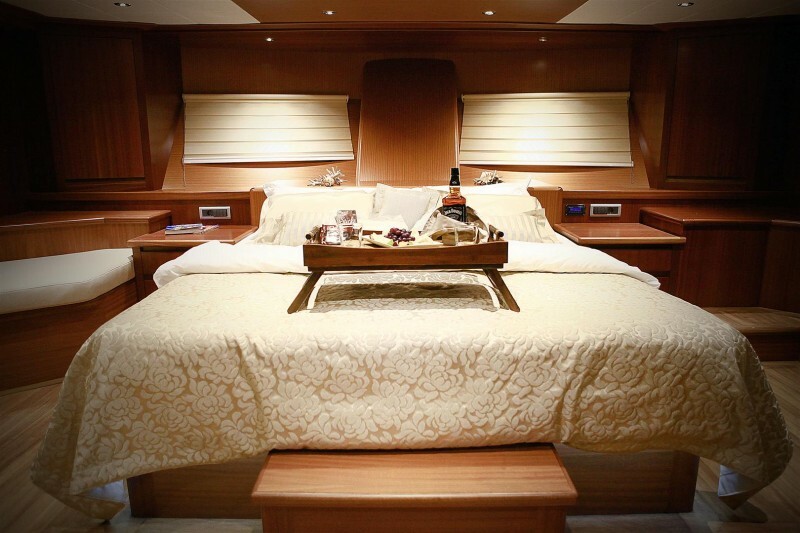 The master cabins enjoy the full beam width of gulet with queen size beds, vanity table, side couch seat and extra storage. 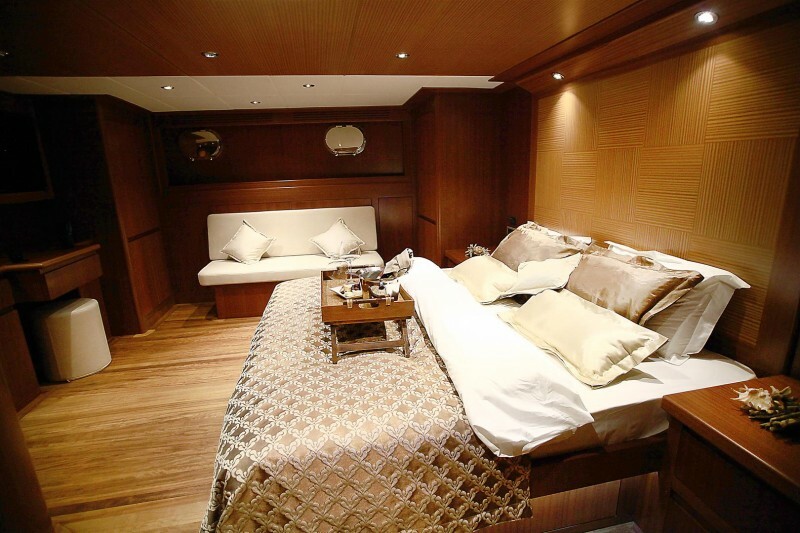 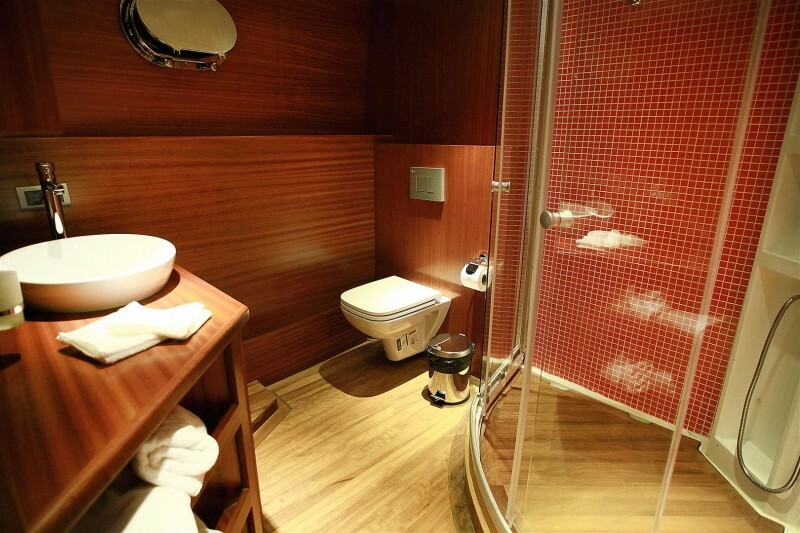 In the aft section the VIP master cabin is located with two double cabins, while the twin bed cabins are placed in the forward section beside the main master cabin. 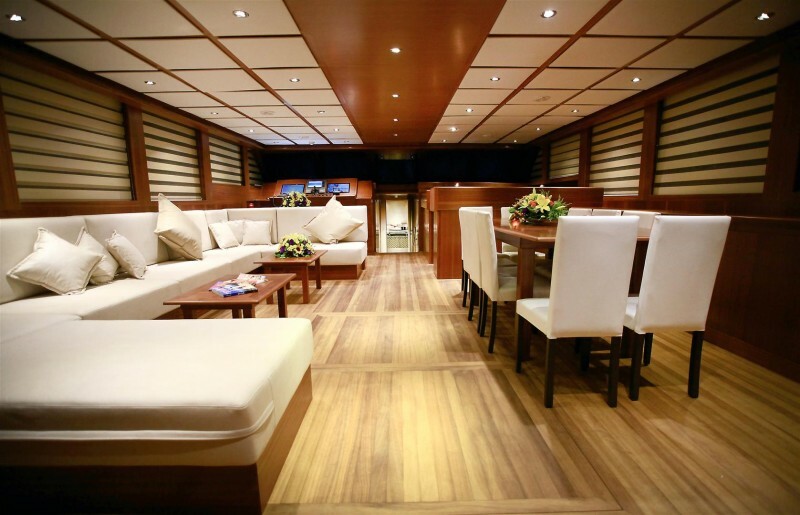 The saloon is ideally designed for entertaining indoors in air-conditioned comfort, with a complete dining table and chairs arranged to one side, and a long comfortable sofa on the other side of the saloon, with a full entertainment system installed. 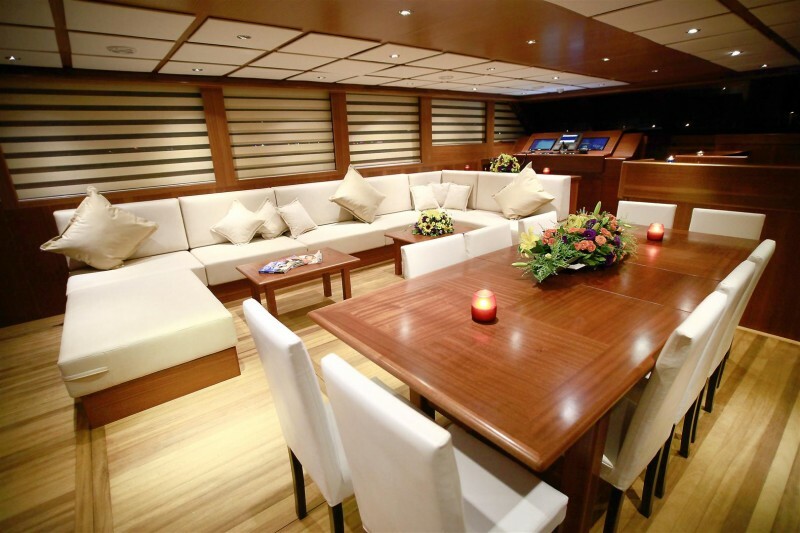 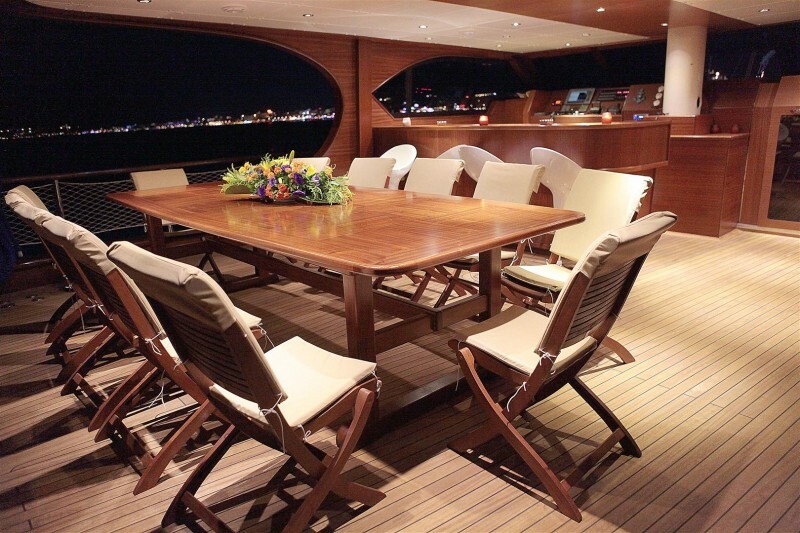 The spacious decks have been proven to be capable of entertaining a large gathering if required in port. 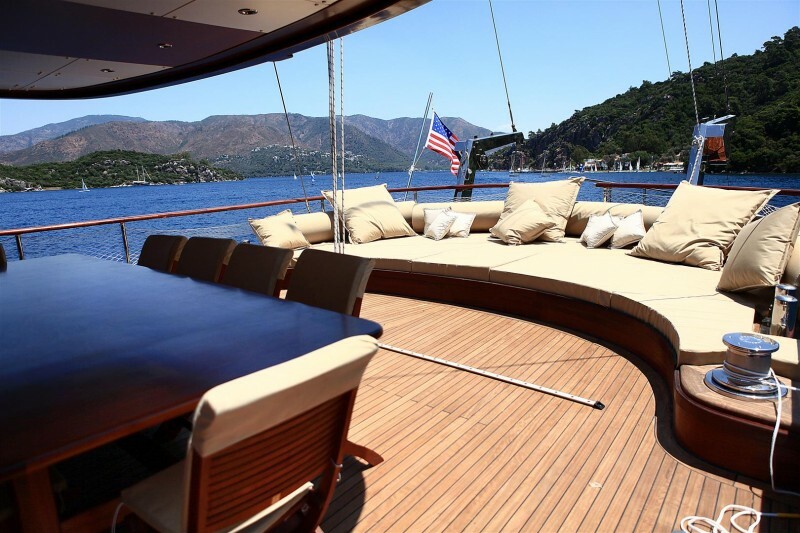 On a cruise the aft deck is the place for intimate al fresco dining or relaxing across the cushions, while there is more than ample space for relaxation and contemplation on generous cushions and sunbeds laid out in shade or sun as wished for by guests. 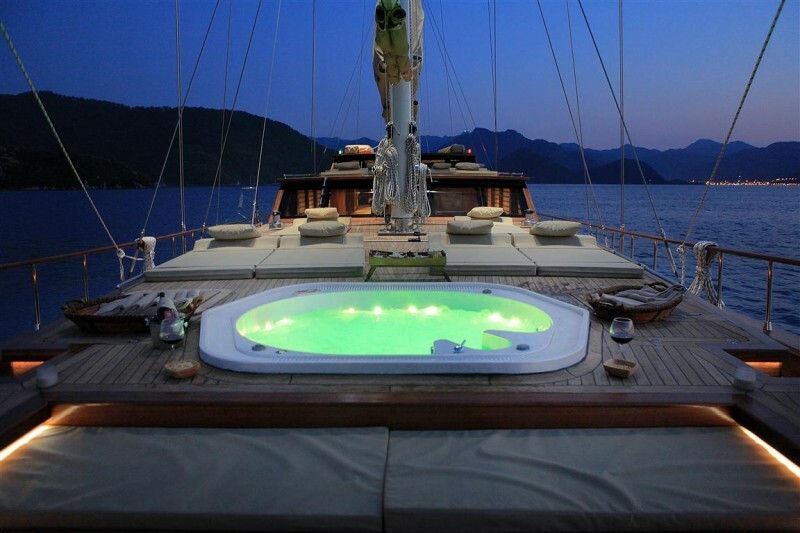 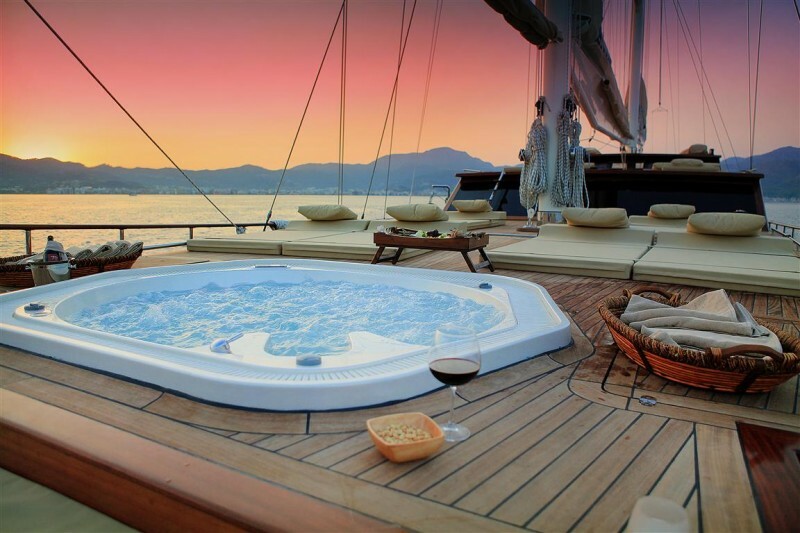 The generously large Jacuzzi in the bow is very inviting beside the bow seat where end of day drinks and gatherings may be enjoyed. 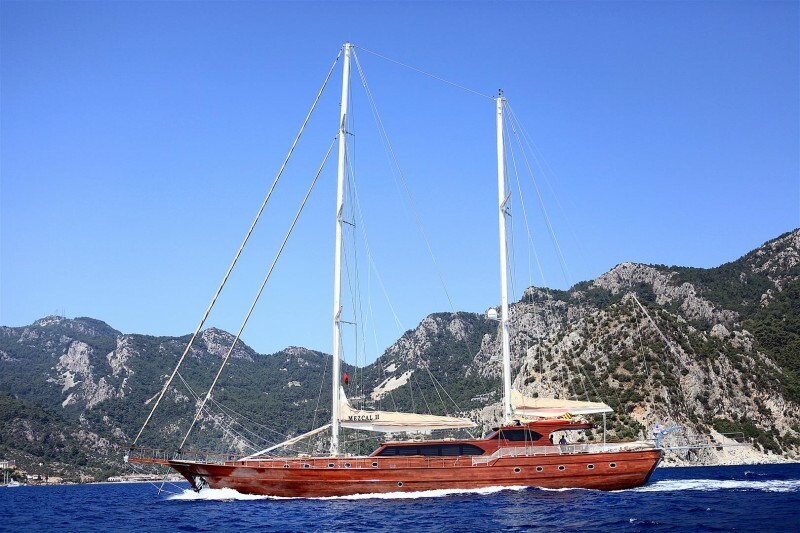 The multilingual team of Captain, chef, hostess and five crew on Turkish gullet Mezcal II provide at once a hospitable, friendly but always professional service, bringing superb meals to the table, twenty-four hour service, all while maintaining the gulet to full luxury standards. 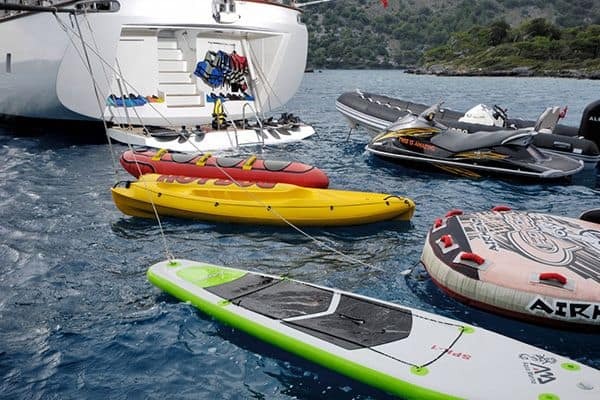 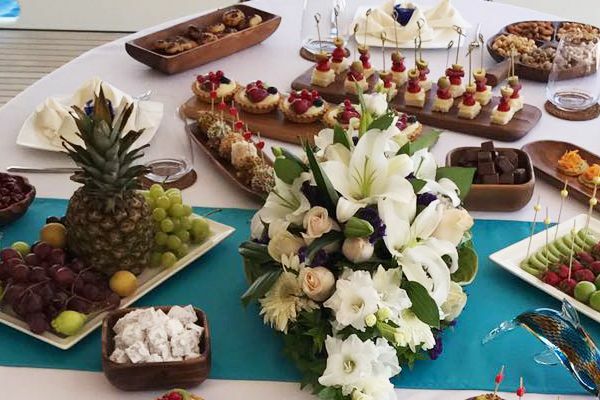 They will assist the guests in activities ashore or on board with water toys play while in quiet bays on the full array of the gulet’s equipment; the canoes, waterski, wakeboard and ringo supported by the outboard power boat. 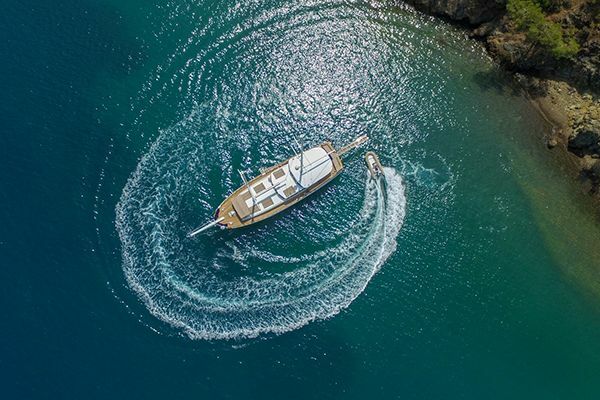 To sail on the eye-catching VIP geult Mezcal 2 is to enjoy the best of possible cruising on the turquiose seas of the East Mediterranean.